KARACHI: The Sindh Health Department has launched an emergency vaccination campaign in two regions of Hyderabad district to protect children from an outbreak of drug-resistant typhoid, a potentially lethal disease caused by poor sanitation and contaminated drinking water. Around 250,000 children in Latifabad and Qasimabad, the worst-hit talukas in the district, will receive doses of the new Typbar-TCV vaccine. The vaccine is the only solution to preventing cases of this type of typhoid as increasing resistance to antibiotics has rendered existing medication ineffective. Researchers and laboratory staff from Aga Khan University, a partner in the immunization drive, have detected over 800 cases of drug-resistant typhoid in Hyderabad alone in a ten-month period between 2016 and 2017. This is an alarming development since only six cases of drug-resistant typhoid were found in the whole of Pakistan over a five-year period of 2009-14. The vaccination drive will be conducted over a three to four month period by 15 teams of vaccinators from Hyderabad’s health department. Vaccinators will be working alongside officials from the district health department, the provincial disease surveillance unit, the district administration and local government officials as well as private partners such as Aga Khan University and staff from the Field Epidemiology and Laboratory Training Programme of the Centre for Disease Control and Prevention during the emergency campaign. Doses of the vaccine were purchased through funding from the Bill and Melinda Gates Foundation’s Emergency Response fund after AKU researchers presented data about the outbreak – gathered from its extensive laboratory network in Hyderabad – at an international summit in Uganda in April 2017. The control and prevention of neglected tropical diseases such as typhoid is a global health priority with targets under goal 3 of the Sustainable Development Goals calling for the eradication of such diseases by 2030. Dr Anita Zaidi, Director of Vaccine Development, Surveillance, and Enteric and Diarrheal Diseases at the Bill and Melinda Gates Foundation supported global efforts to generate evidence of the efficacy for this vaccine against typhoid fever. She said: “It is unconscionable that children are still dying by the thousands every year from diseases like typhoid that are completely preventable. We are pleased to support the Sindh government’s initiative as part of our overall strategy to combat typhoid through an integrated approach including access to clean water, improved sanitation, and immunization,” said Dr Zaidi, an AKU alumna and former chair of the department of paediatrics and child health at AKU. 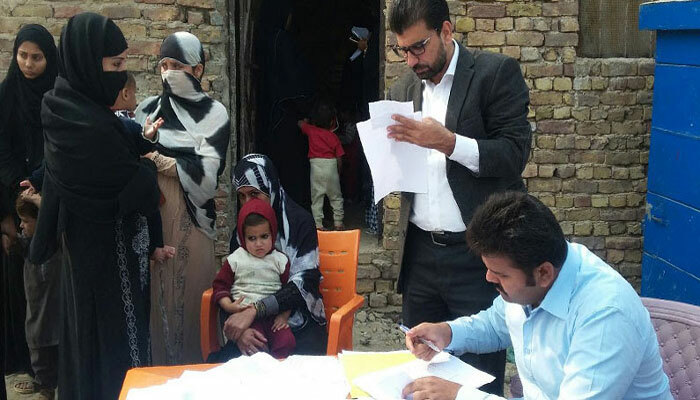 Researchers from AKU will be collecting data during the four-month vaccination drive to assess the impact of the typhoid conjugate vaccine in an outbreak setting. 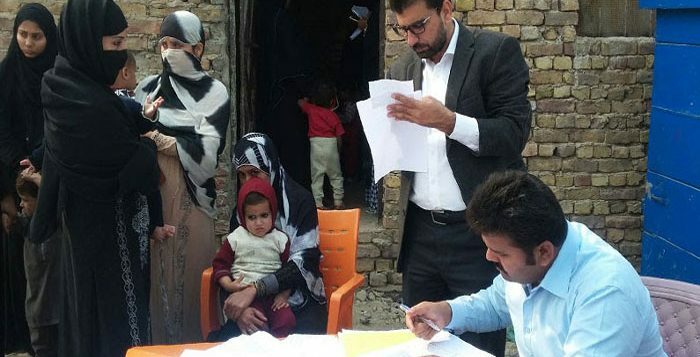 Findings from the study will inform efforts to tackle outbreaks of typhoid in other parts of the world and to investigate whether the vaccine should be made a part of Pakistan’s national immunization programme.